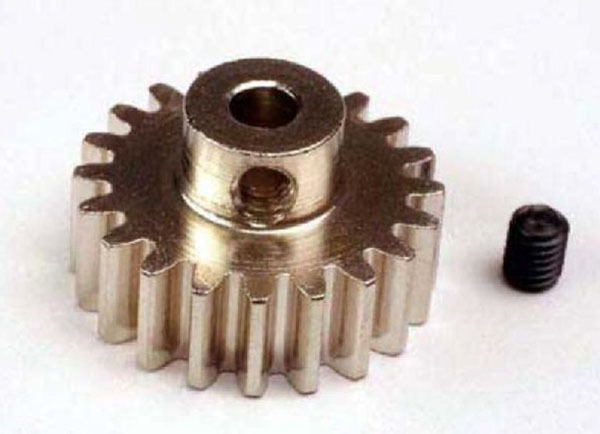 This is the TRA3951,21 Tooth 32 Pitch Pinion Gear for the Traxxas E-Maxx Truck. This is the gear which is attached directly to the motor. This is the TRA3951, 21 Tooth 32 Pitch Pinion Gear for the Traxxas E-Maxx Truck. This is the gear which is attached directly to the motor.